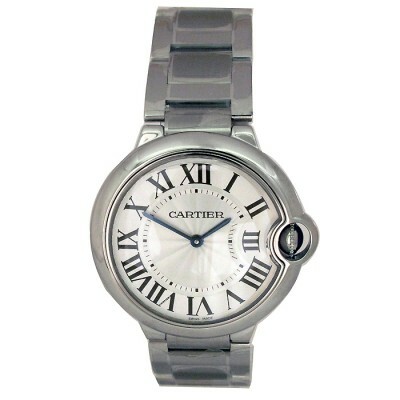 While Rolex may rule the men’s watch world, among women, Cartier reigns supreme. Cartier has dominated the women’s watch market due to their excellent variety of women’s watches, all of which are impeccably made and endlessly elegant. And just like with Rolex, Cartier watches are a great choice for buying pre-owned, thanks to their superior quality, which allows a Cartier watch to last a lifetime. To celebrate the top luxury watch brand among women, we’ve put together this list of must have pre-owned women’s Cartier watches, which includes their six most popular models. The Cartier Pasha is a sophisticated Cartier model known for its unique dial. While a standard Cartier watch dial has roman number markers, the Pasha has Arabic hour markers, which are elegantly arranged in an artistic array of bold lines. While the Pasha model comes with both diamond and non-diamond dials, we’re highlighting our favorite, the diamond dial Pasha. In this design, the diamonds on the dial add a touch of luxury that further elevates this beautifully designed model. The Ballon Bleu is a recent Cartier creation, having been introduced only a decade ago, but it’s one that has soared in popularity ever since its release. This stunning watch is characterized by its signature balloon-shaped crown, which rests gracefully at the side of the watch. This watch has been exceedingly popular among both the public and high profile celebrities. Notably, this stylish timepiece is a favorite of Kate Middleton’s , who has been seen wearing her Ballon Bleu at a number of royal events. Cartier describes the Baignoire as “the essence of Cartier style.” This model features a gorgeous oval shaped case, which rests along a particularly slim band. On the watch’s dial, you see the signature Cartier Tank-style roman numerals, which have been transformed to fit this model’s sleek, and ultra-feminine, rounded case. 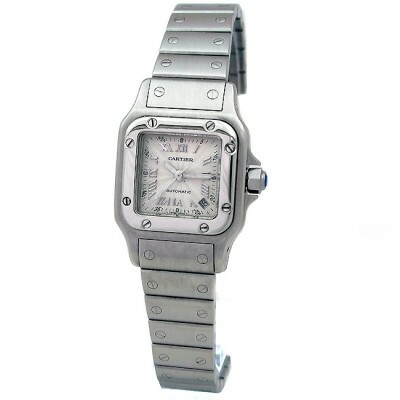 The Cartier Santos is a legendary watch, as it was the first watch the brand ever made. 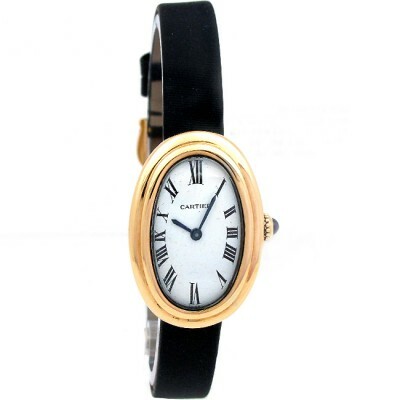 While this model was originally designed for men, and Cartier still touts it as a men’s watch, it has become much more popular as a women’s watch. 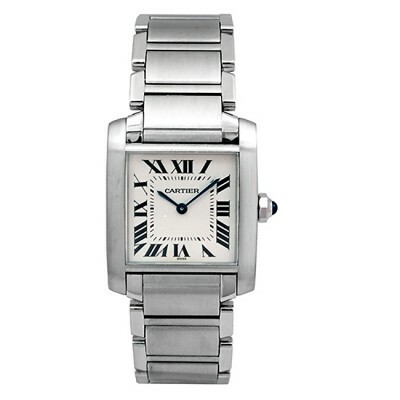 This classic design features the signature Cartier roman numeral dial and screw detailing. 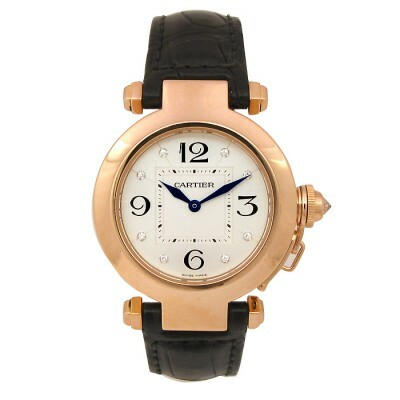 Since its creation in 1906, Cartier has redesigned this watch, scaling it smaller for a more comfortable fit. This is another reason this timepiece is so popular among women, as the petite size of the watch makes it particularly comfortable to wear on smaller wrists. The Cartier Panthere has a very similar look to the Cartier Santos, with one important distinction: its iconic bracelet. The Panthere’s bracelet consists of interlocking links, which has the appearance of a brick path. This watch was immensely popular in the 1980s, for both men and women, and Cartier recently reintroduced a version of the watch that looks just like the original 1980s model, which has revived the vintage version’s popularity. 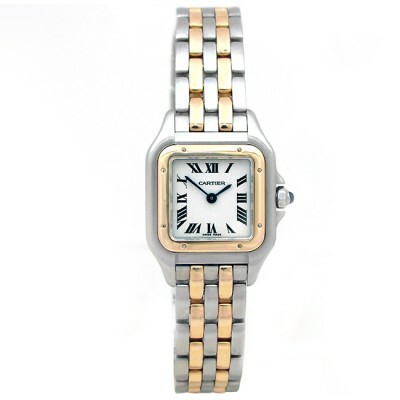 Closing out our list is the most popular Cartier wristwatch for women: the Cartier Tank Francaise. As you can tell from its name, this model is a take on Cartier’s classic Tank model. Released in 1995, this watch features an integrated bracelet, which offers both additional security and a streamlined design. Notably, the Cartier Tank Francaise was the first Tank model to ever be released in stainless steel, which has been a large part of the model’s massive success.